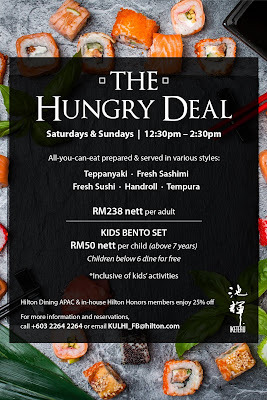 Do not miss out on The Hungry Deal, an all-you-can-eat sushi promotion at Iketeru, Hilton Kuala Lumpur. Try out an abundance of dishes served in various styles from Teppanyaki, Fresh Sashimi, Fresh Sushi, Handroll, Tempura and many more! Parents, don’t forget to bring your kids as there are Bento Sets for them! The Hungry Deal at Iketeru is available from now onwards. 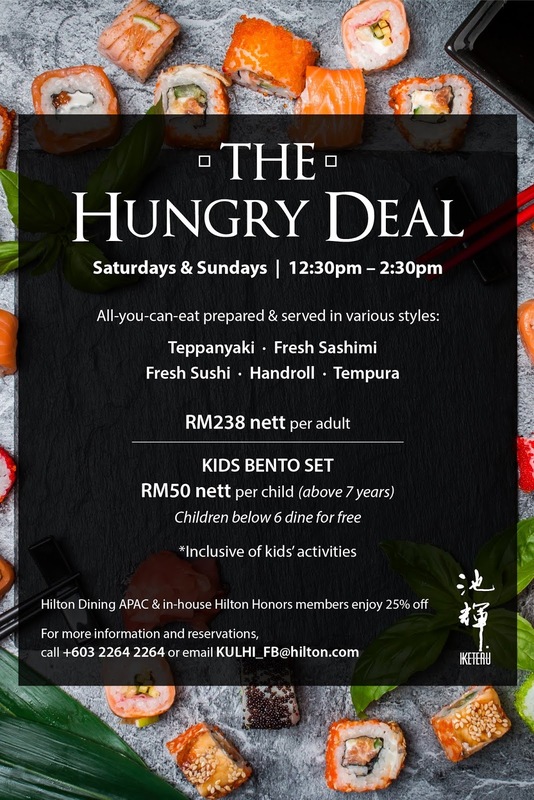 For more information on these promotions or to make a reservation at Iketeru, please call +603 2264 2264 or email KULHI_FB@hilton.com.